The rear tires of my car appear to be angled toward each other at top. I'm using adjustable bilsteins. 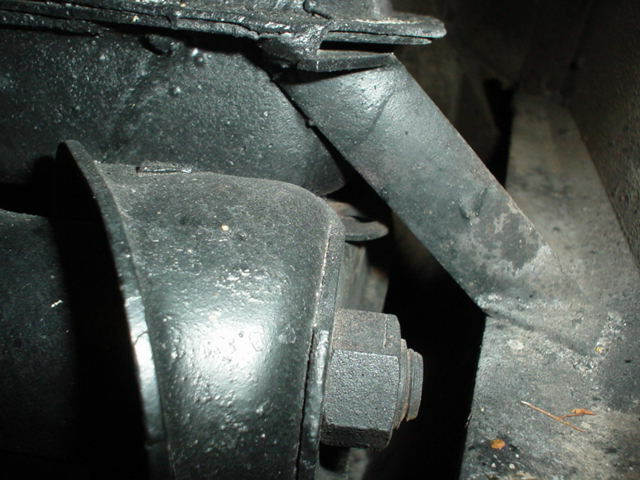 Can this be corrected by changing the height or pearch position of rear shocks or is this corrected by changing shims installed between chassis and trailing arm? 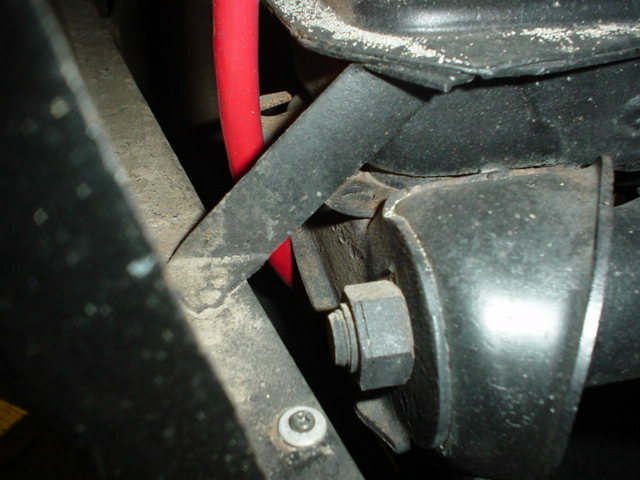 If a shim adjustment is the right way to go to correct my situation, do I need to have spares or will removal of shims already installed in my car correct the situation? This is a add and remove adjustment. If it has too much negative camber you will need to add shims. A decent aggressive rear camber setting is: -1.2 degrees. Could you please elaborate. In my situation (tires leaning toward each other at top) do I need to have shims available for shop to install to correct problem? My local shop swears they can do a four wheel alignment but would bet my next paycheck they don't have shims available if necessary. All I want to know is if I should have shims in pocket prior to taking my car to alignment shop.....just trying to save us both some time and aggrivation. BTW, is the adjustment made on only one side of trailing arm? 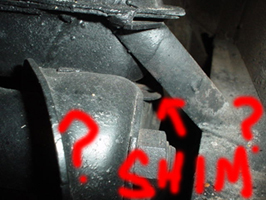 Or do both sides of trailing arm have shims? Take shims with you. They will need them to pull some of the negative camber out. Several of them. Only the outside of the arm uses the shims. I promise they wont have shims. I normally run -1.5 to -1.7 on our prepared 914's. This is a little aggressive for a street car. Works great for Hoosier and Kuhmo tires. Take away shims to add more negative camber and add them to "stand the tire up". Thanks for the prompt reply Brad. I've only seen the shims available on ebay. Is there any other source you know of? I want to get this right the first time. How many shims for each side should I take for a street setup? There is NO specific number. The shims come in (at least) 3 different thickness'. Thin, medium, and thick. I would take 2 of each with me. Hopefully the lighting is good enough to judge thickness of shims. I hope this was a test fit (in the pics) The drivers side shim is not even in place. 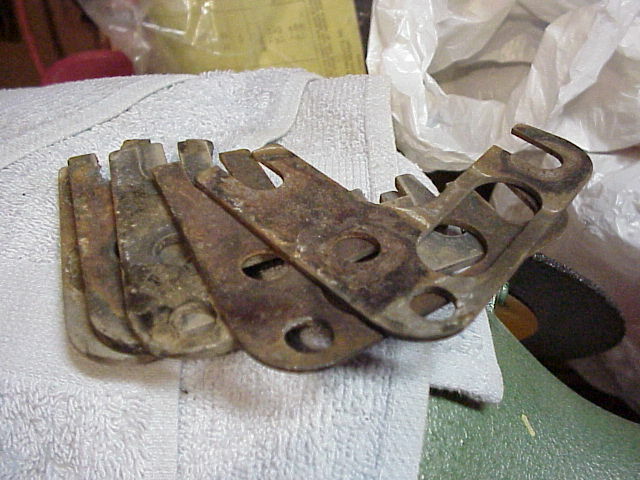 Those are the thin shims. Take 2 thick ones and 2 medium ones. Its nice to see both sides with the same shims. This means the chassis is semi straight and the arms where/are semi straight..
What is all the white sand in the fender wells ?? Look again.........I see the same size shim on both sides. Sand: picked that up on my last trip out to flying field. Looks like the 914 will not be used to down even the shortest of dirt roads. I'll add some protective cover over the (+) battery wire. Center arrow is the shim. Here are some pics. The thick shim is 3mm. The thinner one is 2mm. I believe the other size is 1mm. I don't have any of those pictured. And I won't sell mine either. Sorry. Brad was trying to tell you that your left side shim is not fully installed. See the front of the shim sticking out away from the mounting holes? If I Could get a good pattern on one of the shims and the measure of each thickness I could have some made I bet. I have heard of people having them made rather than ordering them from Porsche or searching through junk yards. Brad, now I see your issue with the left side shim.....Ginter, thanks for pointing out what he was saying. I've been driving it that way. Mike, let me know if you can get some made and price. I can trace the shim, do some measurements and post them here if that would help. 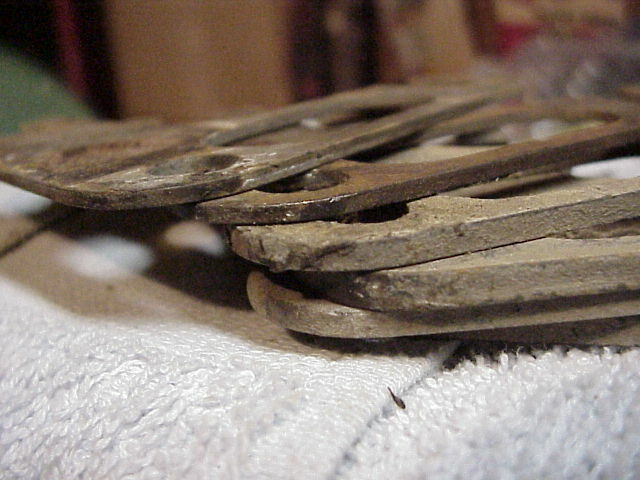 The original shims were 2mm, 3mm, 4mm; with each mm taking out 10 min. of negative camber. ps if you need new ones they are avalible.. When I had my boat I used to throw 50 dollar bill at it when ever I went to the dock...now I do it when ever I open the garage door. I don't need new ones, but now I'm curious. Dealer only item? I didn't know you could get them at all.